I recently found this gem courtesy Jane @ Honey Kennedy . Part of the Pendleton’s Portland Collection , This MaryPoppin’s bag is perfect for weekends in the woods. 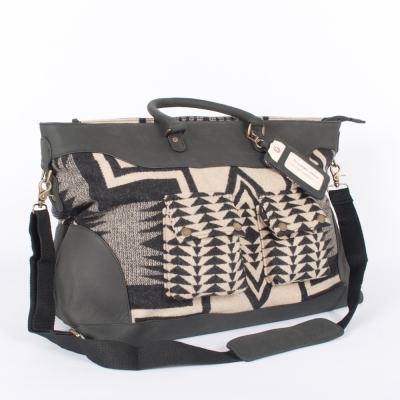 Made from Pendleton blanketsand leather trim detail, this hardy bag can go everywhere with you. There aretwo outer snap patch pockets, one large zip pocket along the back, zip opening, two inside zip pockets, canvas/leather shoulder strap, and a personalized luggage tag.